The son of the world's most wanted drug lord may have tweeted a clue to the fugitive's whereabouts. 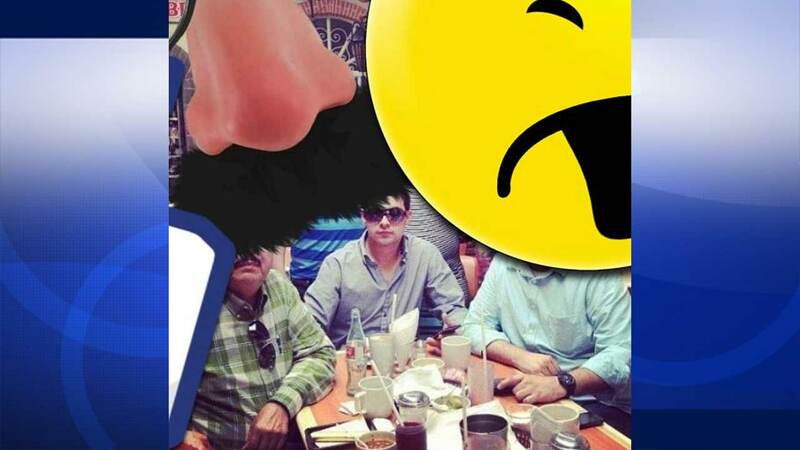 A photo appears to show Jesus Guzman Salazar, the son of Joaquin "El Chapo" Guzman, sitting with two men whose faces are covered by oversized emojis. One of those men resembles "El Chapo." The location tag on the photo says Costa Rica. Authorities in that country think the photo tag actually refers to a town in Mexico called Costa Rica. Guzman is a Mexican drug lord who escaped from a maximum-security prison nearly two months ago via a sophisticated mile-long tunnel that opened up in his cell's shower. The elaborate underground escape route, allegedly built without the detection of authorities, allowed Guzman to do what Mexican officials promised would never happen after his re-capture last year - slip out of one of the country's most secure penitentiaries for the second time. Guzman's Sinaloa Cartel empire stretches throughout North America and reaches as far as Europe and Australia. The cartel has been heavily involved in the bloody drug war that has torn through parts of Mexico for a decade, taking an estimated 100,000 lives or more. In August, the U.S. government announced a $5 million reward for information leading to his recapture. "I think he is still in Mexico," said Chuck Rosenberg, the acting head of the Drug Enforcement Administration, during an August meeting with reporters. "Do I know that? No. It's an educated guess." Mexican authorities have announced a $3.8 million reward for Guzman, who is believed to have a net worth of about $1 billion. Rosenberg said the DEA and U.S. authorities continue to work with their Mexican counterparts on the search for Guzman.